I admit the phone is a bit slow sometimes, but what do expect from a 600mhz processor and a 175mb ram? If you want smth that has peak performance u have to pay at least 3 times what this costed 2 years ago. Of course I wouldnt recommend some1 to buy it now, but if you bought it 1-2 years ago, you shouldnt have any complaints. Unfortunatly I cant bootload mine to install a custom kernel since it is 11w49, but even with the stock kernel you cn install many great custom roms, like kuyandroid v4.5.4 [based on CyanogenMod7(based on gingerbread 2.3.7)], which i have installed, and get many more options. Plus u cn overclock it to 710mHz, where most x8s are stable, and get a pretty good phone. I have met at least 10 ppl that have this phone and have no problems, so if some1 has one that gives them problems, well, you got unlucky... Mine works fine 2 years now, even thou I have dropped it down countless times, and it still has no problems. The only thing I could complain about, is the battery cover design. I mean, just why?? this phone is rubbish, whoever is thinking of buying it DONT. i will never be buying another SE again. im already on my 4th replacement of this in 1.5 years because it keeps shutting itself down and not turning on. its slow, screen resolution is EXTREMELY poor and very limited features for an android phone compared to say a samsung. AnonD-93942, 28 Dec 2012I Love This Phone, I Upgrade To 2.3.9 Beta custom ROM Gingerbread. There's No Problem About Th... morecan i ask how to upgrade? Does this phone do video callling? If so can it run skype? i got this phone last christmas-and im very dissappointed...it freezes all the time,shuts down for no particular reason and is very slow.although it is bad quality from the inside,the cover and screen are well desinged and made of durable material-therefore there are barely any scratches on both the screen and cover.the battery life is ok,but i would not recommend this phone . Ken, 23 Dec 2012pls, how do i install my xperia x8 application that i downloaded with computer system and tran... moreall you hve to do is restart ur phone.go to settings and select reset all. Honestly I would never suggest this phone to anyone one of you. I'd rather buy a Samsung galaxy. Ken, 23 Dec 2012pls, how do i install my xperia x8 application that i downloaded with computer system and tran... morejust download some file manager and you done ! kiromo, 13 Dec 2012Hi! this is a concerned customer, i bought an Experia x8 barely three months ago and i guess a... moreSir whatever u said is 100% true. 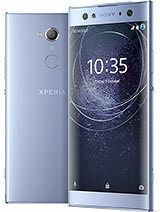 I have same experience with Xperia X8. and in future i will never buy any SE phones. x8 vs w8: we're is winer?